Cost & Performance: Volume production of complex, Class A finish parts for the high performance automotive industry and accessories industry demands high performance cost effective vacuum bag Materials. 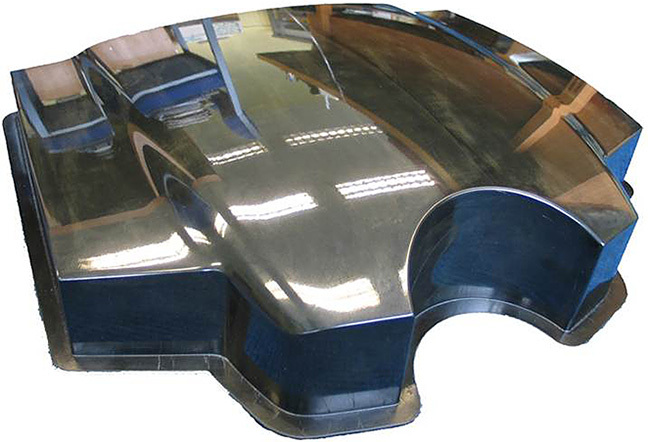 Our high quality release films, release agents and tooling materials help to provide good part finish. High elongation and wide bagging films provide secure and simplified vacuum bag application for reduced molding cycle times. Innovation & Engineered Solutions: Our continuous product development delivers performance improvements and cost reductions. Notably Airtech range of vacuum hoses and valves delivers significantly longer life and reduced leakage. Our engineered vacuum bags and materials kitting greatly reduce mold side labor.